A Highlands MSP has urged the Scottish Government to ensure lessons are learned from the staffing shortages that led to the downgrading of Moray’s maternity unit. Health Secretary Jeane Freeman is visiting Dr Gray’s Hospital in Elgin today to meet with representatives from the health board. She previously attended in August and said a plan would be put in place to restore maternity services, and will today check on its progress. The maternity services were downgraded from consultant-led to midwifery-led in July leading to medium and high-risk pregnant woman having to travel to Aberdeen or Inverness to give birth, due to a recruitment problems. Now local MSP Jamie Halcro Johnston had urged her to ensure that steps are taken to ensure the problem does not occur elsewhere in the future. 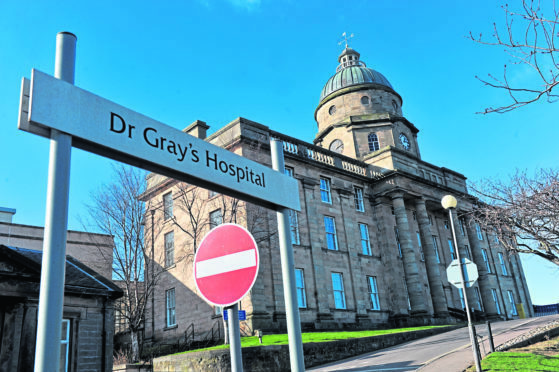 He said: “Staff shortages were blamed for the initial downgrading of maternity services at Dr Gray’s, but many of the problems are longstanding and will require national action from the Scottish Government to resolve fully. “I am pleased that NHS Grampian have stated to me that a number of further services are not ‘at risk’ and I would hope that the Health Secretary is able to confirm that as she visits Moray. Moray MP Douglas Ross also urged Ms Freeman to take action over her promises to re-instate a consultant-led service as soon as possible. He said: “NHS Grampian is the worst funded health board in Scotland, and even in Grampian, Moray seems to lose out to Aberdeen when it comes to investment. “We’ve seen reductions in mortality rates, falls in healthcare associated infections, and Scotland’s A&E performance has been the best across the UK for the last three years. These improvements, delivered by committed health and care staff across the country, have seen patient satisfaction also increase to record highs.